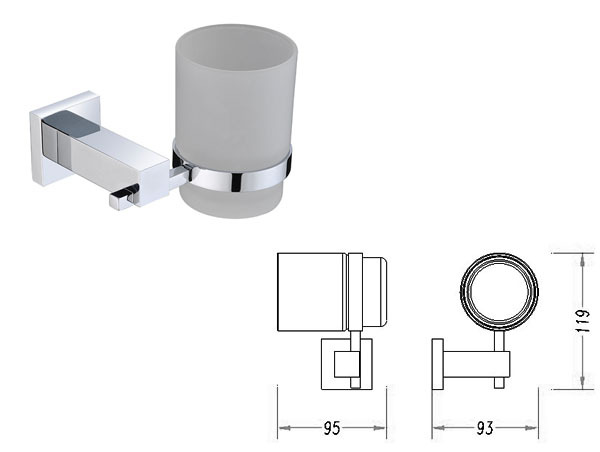 The Square Toothbrush Holder is an essential bathroom accessory, which will give a contemporary edge to your bathroom. It features a classic rounded design and sports an elegant chrome finish. 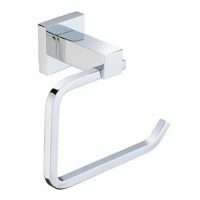 It is perfect for anyone looking for simplistic and elegantly modest bathroom accessories. This toothbrush holder is designed to be installed as a wall mounted unit and weighs just 0.1kg. It offer easy installation and includes concealed fittings for a seamless and plush appearance. The Square Toothbrush Holder is meticulously crafted and is highly practical. It provides ample space to hold four or more toothbrushes. Moreover, it can also be used for organising makeup essentials such as eye liner pencils and brushes. Trust this essential bathroom accessory to complement the décor in even the most modern bathrooms. The manufacturing is just as impressive as the design. This Australian manufactured product conforms to every standard of quality. 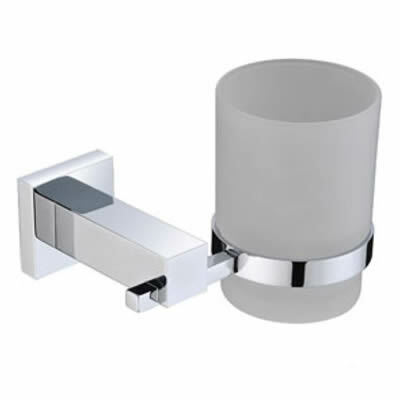 Making use of premium brass construction and a sanitised glass container, it is highly durable. You won’t find a better looking and more practical toothbrush holder in the market. The Square Toothbrush Holder is the perfect acquisition for anyone looking for essential bathroom accessories. Procure this elegant toothbrush holder at the best possible price – only at Ross’s Home Discount Centre’s online store!